A mascian batchmate was asking me via FB private message: Punta kayo Dec7? I forgot to reply because of so many tasks and work deadlines for this week. Upon reflecting last night, I remembered I need to reply and why not do it better via a blog post (and maybe spread it too via social media). Yes, we are definitely going to our xxth-year reunion!!! 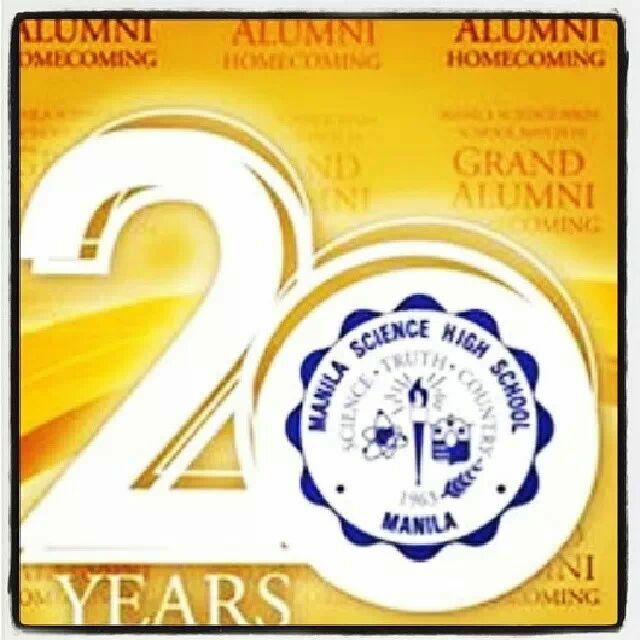 I missed our Alma Mater’s golden anniv last October because of some personal stuff, so I’ll make up by attending tomorrow’s big event. Excited to see you guys and gals!!! Yup, menardconnect.com readers, subscribers, bots and internet folks, our high school class will have our xxth-year reunion tomorrow December 7, 2013, at the Manila Science High School Auditorium. Sorry for the xxth reference, I don’t want to reveal our “age bracket” here at menardconnect.com. Masci93 dudes and dudettes, see you tomorrow!!! Next PostNext Happy New Year 2014!! !